Our Dayton Mirror is a lovely piece of non-traditional beauty. 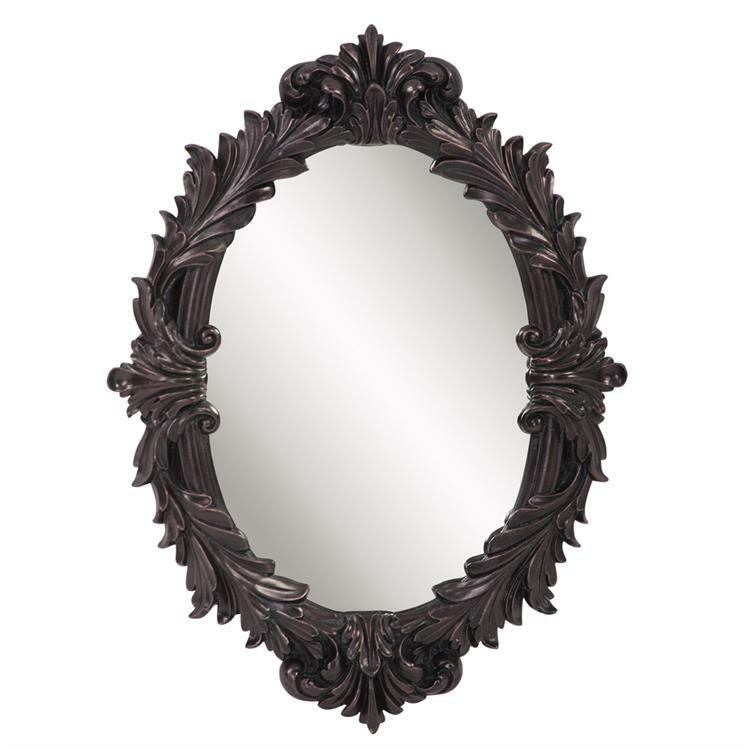 It features an oval mirror and frame. The frame is trimmed on either side with an ornate wreathed design. The lovely frame is finished in an antiqued, oil rubbed bronze. It is a perfect focal point for any design. Hang in either a vertical or horizontal orientation. The glass on this piece does NOT have a bevel. Also available in an antiqued champagne silver. Customizable for larger orders.